Will Fiber Completely Replace Copper Cable In the Future? Both fiber optic cable and copper cable can provide homes and business with the Internet. But nowadays, fiber optic cables seem to be more and more popular in data centers where require higher speed, since fibers can provide greater bandwidth and longer transmission distances. But with the development of PoE technology, copper cables remains vital in applications like IP camera or in-building networks since they can deliver data and supply power at the same time. 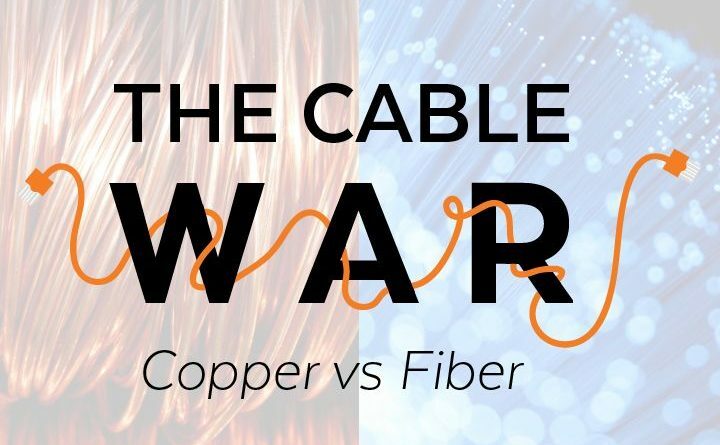 So copper cable vs fiber optic cable, which one is the future choice? Will copper be replaced by fibers? Since its introduction, fiber optic cable is regarded as the best transmission medium. Fiber technology functions by using cables made of glass or plastic strands that transmit light. This allows data or voice signals to go over the cables as optical beams instead of electrical signals. Thus, it can deliver far more data, with a greater degree of integrity, over longer distances when compared to copper. Also, fibers are immune to electrical interference, making them more reliable and safe. Therefore, in data centers, most connections between servers have been replaced with optical links. In the past few years, with the rapid development of mobile upgrade programs and FTTX programs, global market of fiber optic cable has kept growing, with a CAGA (Compound Annual Growth Rate) at 11.45% from 2013 to 2018. In addition, the emergence of 5G and IoT (Internet to Things) will lead to a high demand for fibers in the next few years, since fibers can provide higher speed with less attenuation. In addition, fibers are not a fire hazard, which is more safer. Obviously, fibers are in the ascendency and will take an important role in the future networking world. Unlike fibers, copper patch cable transmits data by electrical impulses, which is perfectly adequate for voice signals. Though today fiber deployment gains greater market share due to the demand of increasing data rates, copper isn’t retired. With the benefits of costing less, supporting a wide range of data rate (1000Mbps to 40Gbps). And network cable also supports 10/100Mbps. This means copper cable is capable of supporting electronics that auto negotiate network speeds between older, slower equipment and newer, faster devices. Thus, copper systems still move on. The introduction of Cat8 is the best demonstration. 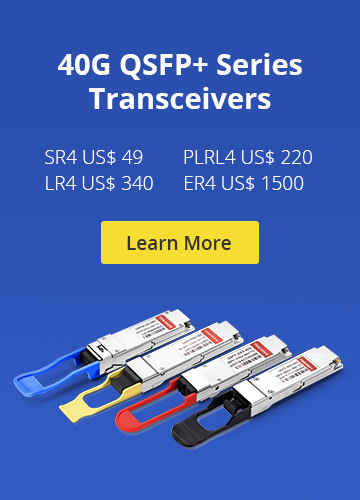 Supporting bandwidth of up to 2GHz, it can be used in data centers for 25G and 40G Ethernet. Besides, the latest TIA-568.2-D standard published in 2018 has added 28 AWG patch cable in normative annex. This change will promote the development of 28 AWG Ethernet cables in high-density applications. FS has already released 28 AWG Cat5e and Cat6 Ethernet cable. Their smaller patch lead sizes can help alleviate congestion as well as improving airflow within the racks. In addition, copper patch cables support PoE by RJ45 interface, this means a single network cable can be used to provide both data connection and electric power. The newly released TIA-568.2-D has approved MPTL (Modular Plug Terminated Link) as an option for connecting devices. In some sense, this update will stimulate the growth of RJ45 cables, since MPTL configuration can provide flexible access to users especially in CCTV systems that use IP cameras on a long run. Besides, in horizontal cabling situations, copper cabling is still widely deployed for voice transmission and in-building networks. The IoT boom, coupled with Industrial Ethernet market that adopts RJ45 as a standard interface, provides lucrative opportunities for copper stranded wire market. Will Fiber Completely Replaces Copper Cable In the Future? As previously noted, in most data centers, fibers have dominated the market due to the high requirement for bandwidth. Besides, fiber optic cables are impervious to electromagnetic interference, the installing environment it requires is not as complex as the coppers. Thus, fibers are easier to install. But note that, though the price between fiber and copper has narrowed, the overall price of fiber cables is higher than copper cables. Therefore, fibers are widely used in the environment that requires higher bandwidth such as data centers. On the other side, network cable costs less. Optical fiber is a particular type of glass, which is more fragile than copper. Thus, copper cable’s routine maintenance costs much less than fibers. And it provides backward compatibility to older 10/100Mbps legacy Ethernet devices. Thus, copper cabling is still applied in the applications of voice transmission and in-building networks. Plus, the applications in horizontal cabling, PoE or IoT are promoting the usage of copper cable. Therefore, fibers will not replace completely copper. The fact is, fiber and copper solutions will coexist for the foreseeable future, each will be employed where it makes the most sense. FS provides many types of cables such as fiber optic cables including MTP/MPO fibers, fiber patch cables and ruggedized fiber cables. 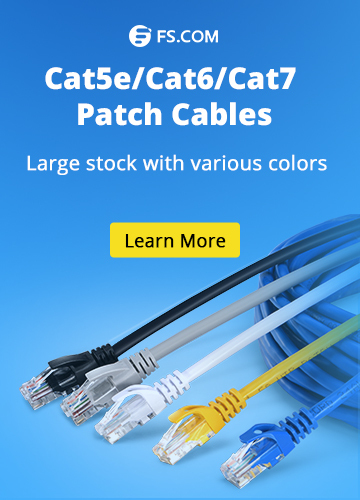 Ethernet cables like Cat5e patch cable, Cat6/Cat6a/Cat7/Cat 8 are also offered at FS. All the cables are built with quality that helps you build a reliable network. Ethernet Network cat5e patch cable, Cat6 Ethernet cable, copper cabling, fiber optic cable, patch cable. permalink.